The Climate System Research Center is a research facility of the University of Massachusetts. Our research is focused on the climate system, climatic variability and global change issues, from contemporary climate variations, their causes and consequences, to paleoclimatic and paleoenvironmental changes. Upper and Lower Sermillik Lakes in Southeast Greenland. Upper Sermilik is fed directly by glacial meltwater, leading to the lighter color. Lower Sermillik was cored in 2010 by Ray Bradley and others and was the subject of a Masters thesis on Holocene climate change by Sam Davin. Masters student Sam Davin makes observations on Flower Valley Lake in Southeast Greenland near the settlement of Tassilaq. Flower Valley was one of four lakes cored by Ray Bradley and Nick Balascio in Southeast Greenland to reconstruct Holocene climate variability. Then Masters student Greg de Wet notes the exceptional folding exposed in Archean age gneiss in Southeast Greenland near Nanerersarpik Lake, the subject of his Masters thesis on Holocene climate change. Sam Davin notes an precariously balanced glacial erratic near Lower Sermillik Lake in Southeast Greenland. Lower Sermilik was cored by UMass researchers on a prior expedition in 2010, providing data used by Sam Davin for his Masters thesis. Graduate students Greg de Wet and Sam Davin teach local Greenland children about Geology (they liked swinging the rock hammers) near the settlement of Kummiut in Southeast Greenland. Sam and Greg were visiting for lakes that had been previously cored to make observations and take samples for their Masters thesis research. Greg de Wet and his team of polar bear guards. This image was taken on the dirt soccer field of the settlement of Kummiut in Southeast Greenland. 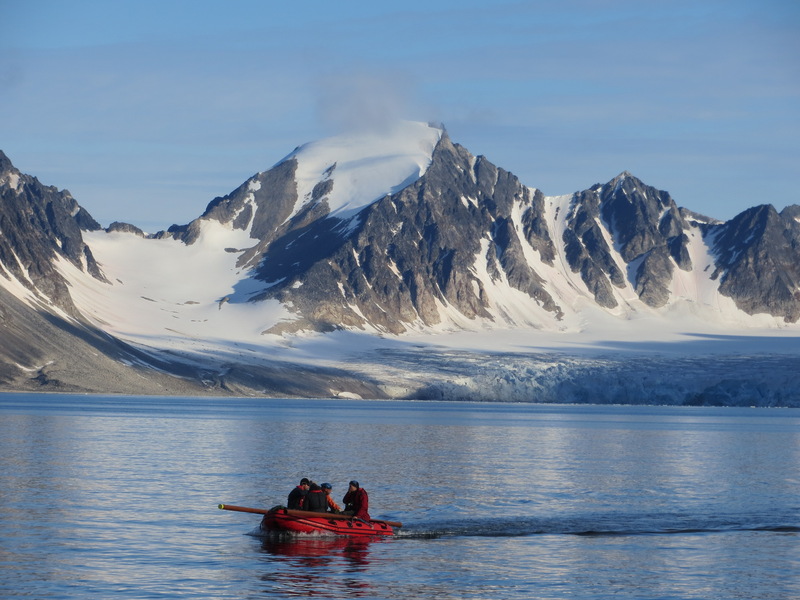 Greg and Sam Davin were visiting Kummiut to access Nanerersarpik Lake, just across the fjord, the site of Greg's Masters thesis research on Holocene climate variability. 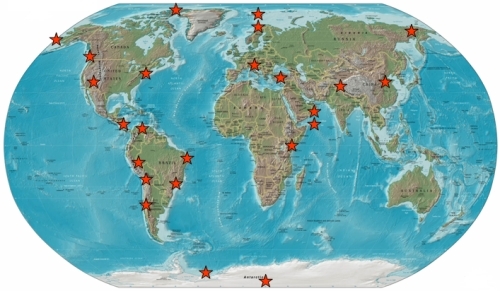 The red stars denote the location of current research projects. 2018 University of Massachusetts Amherst. Site Policies.